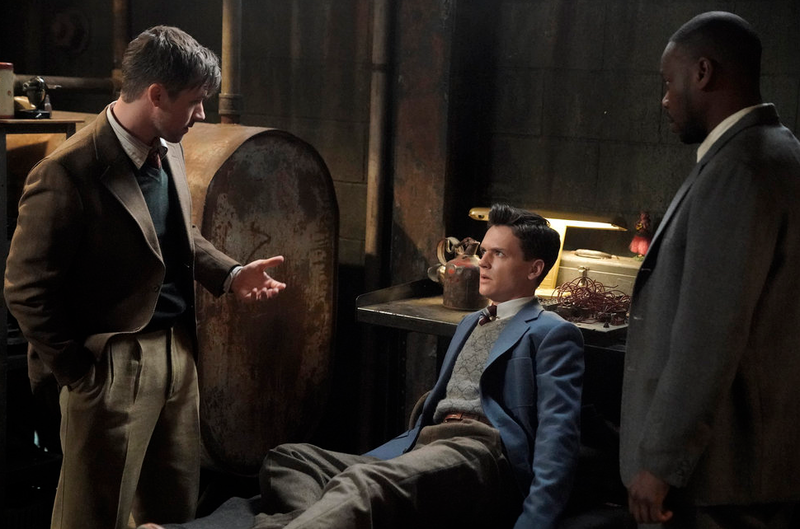 When Timeless season 2 episode 5 airs on NBC in one week’s time, and it feels almost like an understatement to say that this episode is going to be different than many others. While we’ve seen Nicholas Keynes be brought back to the present by Rittenhouse, this episode (entitled “The Kennedy Curse”) is going to be all about the Time Team bringing back someone famous to the present. To be specific, that person is the eventual President in John F. Kennedy. Wyatt and Rufus end up bringing Kennedy back to the present as a means of keeping him safe. Yet, in doing so, things end up going awry much in the way that they often do. This is going to be a fun, extremely creative hour of television, yet it is also going to be a really dangerous hour of TV given that Rittenhouse may use some of the teenage Kennedy’s antics in order to get a leg up in their mission. 04/15/2018 (10:00PM – 11:00PM) (Sunday) : When a mission goes awry, Wyatt (Matt Lanter) and Rufus (Malcolm Barrett) are forced to bring a 17-year-old John F. Kennedy (guest star Grant Jordan) with them to the present. But while the Lifeboat is recharging for the return trip, Kennedy escapes from the bunker… into modern day San Francisco. Anxious to return the future president to history, the team must find a way to work together to rescue JFK and return him to the past before Rittenhouse assassinates him in 2018. What is John F. Kennedy is going to be like in the present? That should be very fun, even more so than it is seeing Keynes in the present. With JFK, what we’re talking about here is a teenager who is thrown effectively into an era with smartphones, technology, the internet, and thousands of other things that he doesn’t know that much about. This is almost the reverse of A Connecticut Yankee in King Arthur’s Court, one of the best stories of its kind. Unfortunately, this episode is only an hour long so the writers are really going to have to work hard to cram in as much content as possible. What do you want to see on Timeless season 2 episode 5? Be sure to share right now in the attached comments!